The low-growing basal leaves have long petioles and the tall leafless flowering stalks rise from fleshy branching rhizomes. Leaves are somewhat evergreen, with old leaves still green when new leaves appear in winter. Leaves are rounded to palmate with only slight indentions of edges showing the palmate shape. Leaves are a medium green with the planar surface being somewhat undulating and soft to touch. Leaf edges are irregularly saw-tooth/notched. Dense, spiny-looking soft hairs are obvious on petioles (on var. hirsuticaulis…var. americana has glabrous to nearly glabrous petioles), extending onto vein ribs on the underside, and stems. Reddish winter leaves and petioles are less hairy or hairless. In its natural habitat, a plant typically has few leaves and flowering stems as a result of its tight living quarters. Leaves reach 8 to 10 inches in length while flowering stems reach two feet. Flower stems appear in April and May with flowers on the upper third of sticky stems. Greenish, bell-shaped, drooping flowers (¼ inch long) occur in loose, slender, branching clusters (panicles); usually 4-5 flowers on each branch. Pistils and stamens extend noticeably outside the petals and are greenish and pinkish. Tiny seed, produced in capsules, mature in summer. Spent flowering stems lie on the ground into the next year. 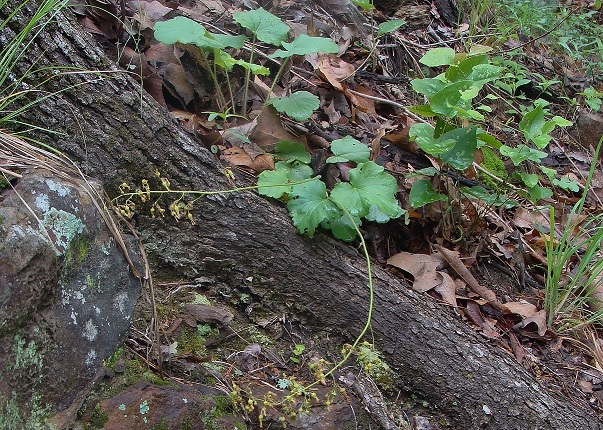 American alumroot in winter, growing in natural habitat; reddish new leaves with old leaves and stems remaining. American alumroot in bloom in late spring, growing in the wild. American alumroot growing in a home native plant garden in mid-spring; a significantly larger plant with many flowering stems. 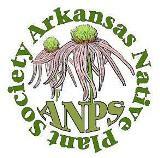 Several other alumroots are also found in Arkansas. 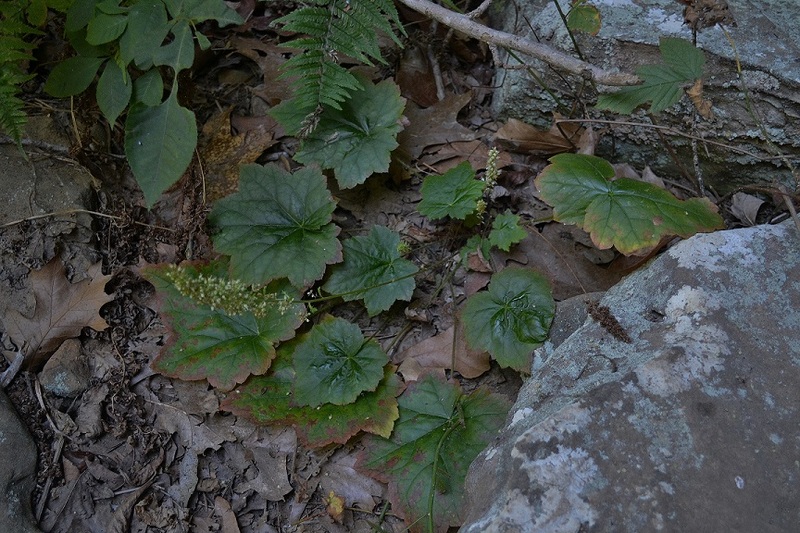 A variety of hairy alumroot (Heuchera villosa), called Arkansas alumroot (var. arkansana), is reported to occur only in Arkansas. It is generally found on moist, shady bluff areas of the Ozarks on shale and sandstone substrates. 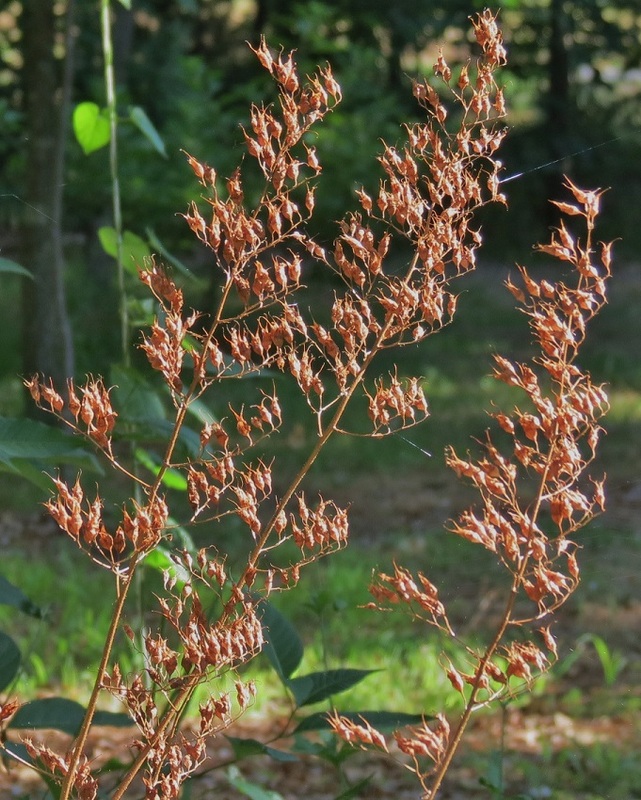 It has large leaves with more jagged, pointed margins, and it blooms in the fall with flowers clustered tightly on shorter stems. 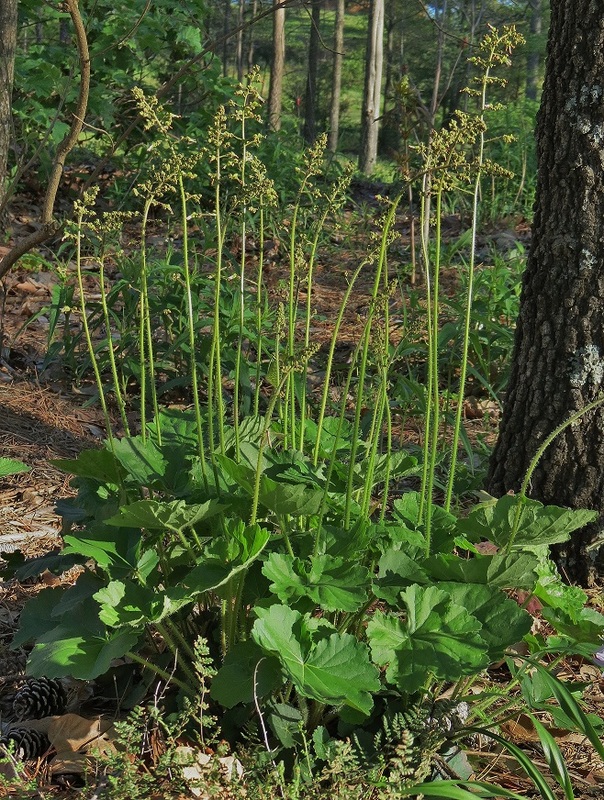 Arkansas alumroot, blooming in fall, has tight flower clusters on short stems. Small-flower alumroot (Heuchera parviflora var. puberula), grows primarily in the north-central part of the state. It also blooms in the fall, but has smaller, rounded leaves and a more diffuse inflorescence. It grows primarily on moist, calcareous bluffs. 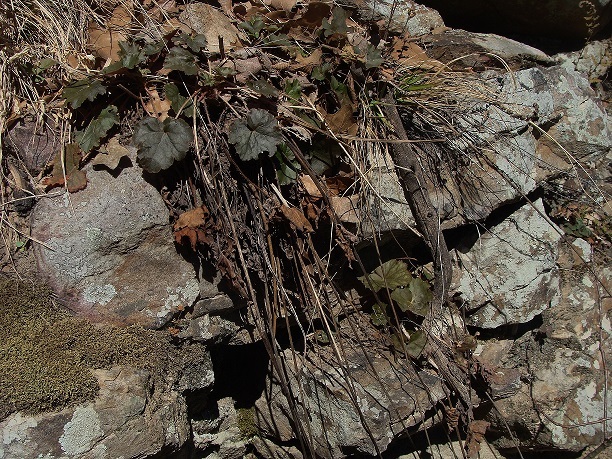 This entry was posted in Know Your Natives, Native Plants, Wildflowers and tagged American alumroot, Heuchera, Heuchera americana, Saxifragaceae. Bookmark the permalink.